President Donald Trump is assembling a radical group of right-wing ideologues to serve in his administration’s leadership. From an attorney general who is a civil rights foe to a top White House advisor who has promoted white supremacy, Trump and his team represent the most profound threat to the American Way that we’ve seen in decades. In response, we have to stand firm in our values and fight back like never before. Many of Trump’s nominees, for example, have to be confirmed by the Senate. By staying vigilant and demanding that our senators refuse to confirm nominees who are unfit for the positions to which they’ve been named, we can make clear that Americans won’t sit idly by as dangerous extremists take over our government. Rex Tillerson: ExxonMobil CEO Rex Tillerson, Trump’s nominee for secretary of state, has a personal relationship with Vladimir Putin and deep business ties in Russia that have raised concerns among people across the political spectrum. 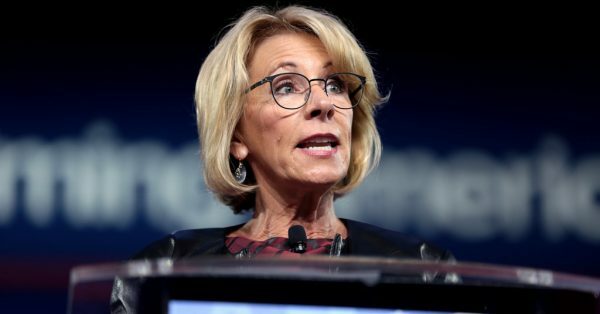 Betsy DeVos: Billionaire GOP donor Betsy DeVos, Trump’s nominee for secretary of education, has been one of the country’s most forceful advocates for undermining public schools by shifting public funding to religious and for-profit schools. 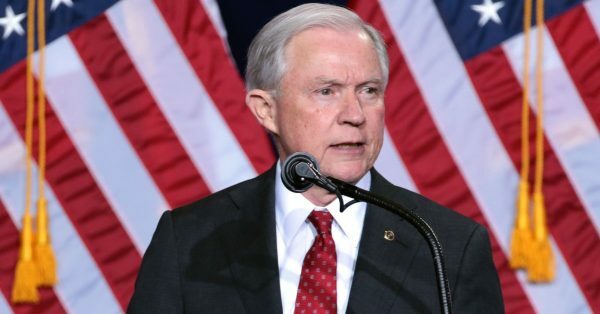 Trump’s nominee for attorney general, Sen. Jeff Sessions, has spent his career fighting against the very rights he would be tasked with protecting as our country’s top law enforcement official. As a U.S. attorney, Sessions went on a crusade targeting civil rights activists working to register African American voters in Alabama. As a senator, he voted against legislation to address the gender pay gap and fight domestic violence. He cheered the Supreme Court decision gutting the Voting Rights Act, and opposes the push to restore voting protections. Whoever serves as our country’s attorney general, or the “people’s lawyer,” bears the critical responsibility of protecting all Americans’ rights and ensuring the fair application of justice. Sessions’ record makes him unequivocally unfit for that role. The number of senators needed to confirm Trump’s Cabinet-level picks. The number of Trump’s nominees for top Cabinet positions—State, Treasury, Defense, and Justice—who are white men. The total wealth of 17 of Trump’s Cabinet-level picks, who together have more money than the least wealthy one-third of U.S. households.